LOS ANGELES – From the moment Adam Silver listened to those tapes of Donald Sterling, the NBA's commissioner understood the unmistakable and unprecedented breadth of his burden: He had to make an owner disappear. All these years of the league legitimizing this morally bankrupt and despicable man had come calling for Silver now, had become David Stern's bequeath to his successor, and hell promised to break loose. So, yes, Silver was determined to deliver lifetime banishment for Sterling and did so with assurances he had support of the owners to take over the Los Angeles Clippers and sell them on Sterling's behalf. "There's already a feeding frenzy to buy [the Clippers] for a billion dollars easy," one high-ranking league official said. 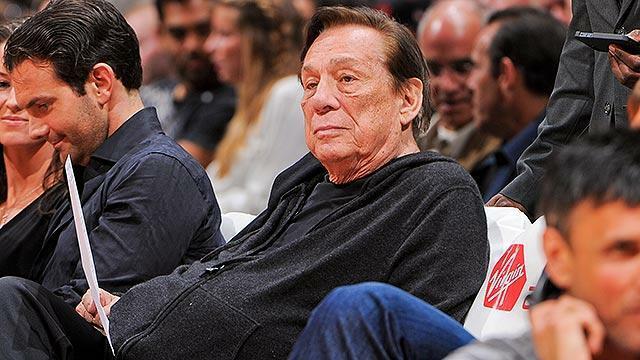 The richest slumlord in American sports ownership will make a killing on the sale, but Sterling has lost his courtside seats, his trumped-up charitable photo-ops and celebrity status in Hollywood. He's lost his make-believe importance in the make-believe city. There were no revelations on those racist tapes for the commissioner and Doc Rivers, Chris Paul and Blake Griffin. There were no revelations for NBA executives and coaches and veteran players. Most understood the truth about this wretched man, but Stern and the rest of the NBA's owners had resisted confrontation and executed a failed strategy of waiting for him to fade away. In the end, the NBA left Sterling to prosper as a necessary evil – only until his bizzaro personal life collided with his insane worldviews to create hours upon hours of TMZ and Deadspin content. Silver separated himself of his predecessor, and no one will dare call him Stern's puppet now. Without bravado, without grandstanding – without hesitation – Silver made himself commissioner of the National Basketball Association on Tuesday, commissioner for everyone. "Everyone feels a part of the NBA now," one general manager said. Perhaps someday this will be remembered as the easy part. Sterling won't go quietly, won't go without a flurry of suits and countersuits. This has been his life. For years, he bullied coaches and scouts that had been fired into suing him to collect salaries owed them – only to gleefully make them take pennies on the dollars in settlements because they didn't have the resources to litigate against him. This time, Sterling gets the NBA's full war chest. This time, he gets the players. This time, he gets the public. Finally, he catches hell for the ages. When Donald Sterling wanted to spend his golden years courtside parading party girls on his arms, he gets run out of the league. For the future of the NBA, Silver's banishment spared him something the commissioner understands is rare: The collective will and unity of the players. Players Association executive committee officials insisted playoff boycotts loomed had Sterling kept control of the Clippers. In all Silver's time as the NBA's top negotiator in collective bargaining talks, for all his relationships with agents and players, he witnessed how little else had ever moved the players to unity as the unfolding of the Sterling debacle. It's been largely impossible to unite the NBA players on a cause, and the results have been one disastrous collective-bargaining agreement after another, a smaller share of the NBA's multibillion-dollar empire and a loss of free-agency rights. The Players Association is such a mess, the search process in the aftermath of the Billy Hunter debacle has wandered emptily for more than a year. Nevertheless, Silver was able to do something Stern never had: Get cheers from all corners, get everyone together in the increasingly divided NBA. Once the Board of Governors votes to oust Sterling, there are issues with the sale of the Clippers. There are issues for Doc Rivers now: Who does he answer to in the organization? Who has final say on luxury-tax decisions and financial expenditures? Already, NBA dealmakers wonder whether Sterling can slow-play the sales process the way Frank McCourt did with the Dodgers and run that bidding price higher and higher and leave the franchise in limbo longer and longer. These are the issues awaiting Silver, the fight that Stern never wanted with Sterling. For now, Silver has met his moment of truth with the courage of conviction, with a coalition to carry the day. Finally, Adam Silver is the commissioner of the National Basketball Association.